Born out of a passion to stimulate a new perception of 'African inspired fashion’, 54 Kingdoms is an apparel and accessory company that brings the Pan-African creative, history and culture to the doorstep of global fashion. For a long time, the definition and perception of ‘African inspired fashion’ has mainly focused on its aesthetics; the use of imported wax prints and vibrant textiles from the African continent to make clothes and accessories. Since inception, 54 Kingdoms continues to challenge this status quo by putting storytelling at the center of its designs, where every thread and stitch tethers the consumer to the shores of Africa and beyond, without explicit use of prints and textiles. Through the seamless integration of symbolic, cultural and historical content inspired by Africa and its Diaspora, together with current trends in fabric, color, and style, 54 Kingdoms produces products with unique storylines that are marketable to the global community. In brief, we design with Pan-African inspiration for global consumption. We are the Storytellers in FashionTM. 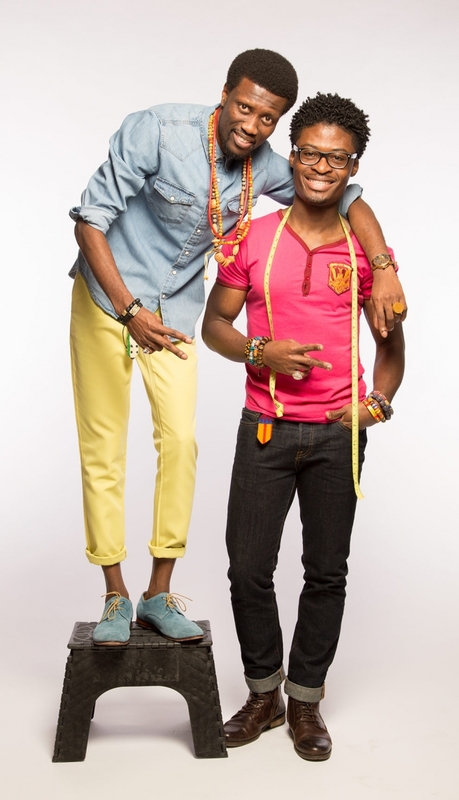 This thought of using Africa and the Diaspora as a source of inspiration to design clothes and accessories helped in developing the company’s name, 54 Kingdoms. The number ‘54’ symbolized the total number of countries in Africa at the time of the company’s establishment, and ‘Kingdoms,’ signifies that each and every African country is a part of a larger kingdom spanning overseas to form the Diaspora. After a few conceptual designs pairing Ghanaian identity with mainstream casual fashion, Nana recognized his lack of adequate education pertaining to Ghana’s culture and national history. By creating designs for the future 54 Kingdoms, he would focus on using fashion as a vehicle to educate, empower and motivate. In 2009, together with Kwaku Awuah (President), 54 Kingdoms was officially launched in the United States (U.S). Today, the company is globally recognized for its storytelling design model and culture-driven trademark, with products fully-designed in the 54 Kingdoms' studio, and manufactured in Ghana, Greece, the U.S, and Vietnam. One of 54 Kingdoms’ long-term visions is to manufacture all of its products in Africa.